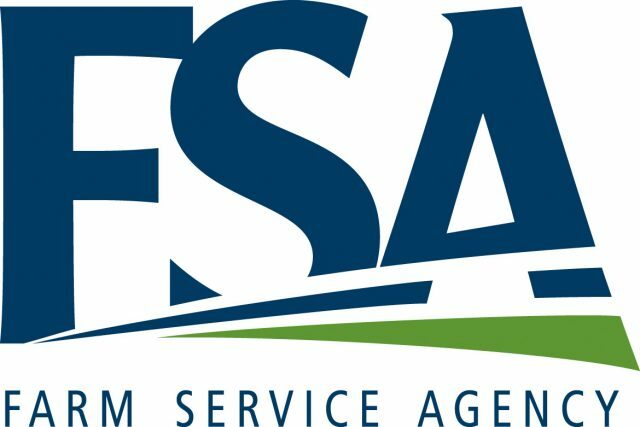 The U.S. Department of Agriculture (USDA) Farm Service Agency (FSA) in New York State reminds farmers of federal farm program benefits that may be available to help eligible producers recover from recent drought. Twenty-four New York counties recently received a Secretarial Disaster designation. There are 15 primary natural disaster counties, they are: Cayuga, Chemung, Erie, Genesee, Livingston, Monroe, Niagara, Ontario, Schuyler, Seneca, Steuben, Tioga, Tompkins, Wyoming and Yates; and nine secondary natural disaster counties: Allegany, Broome, Cattaraugus, Chautauqua, Cortland, Onondaga, Orleans, Oswego, and Wayne. Emergency Loan Program – Available to producers with agricultural operations located in a county under a Secretarial Disaster designation. These low interest loans help producers recover from production and physical losses due to drought. Tree Assistance Program (TAP) – provides assistance to eligible orchardists and nursery tree growers for qualifying tree, shrub and vine losses due to natural disaster. Non-Insured Crop Disaster Assistance Program (NAP) – provides financial assistance to producers of non-insurable crops when low yields, loss of inventory, or prevented planting occur due to natural disasters (includes native grass for grazing). Eligible producers must have purchased NAP coverage for 2016 crops. HayNet – is an Internet-based Hay and Grazing Net Ad Service allowing farmers and ranchers to share ‘Need Hay’ ads and ‘Have Hay’ ads online. Farmers also can use another feature to post advertisements for grazing land, specifically ads announcing the availability of grazing land or ads requesting a need for land to graze.www.fsa.usda.gov/haynet. Producers must file a Notice of Loss for failed acres on all crops including grasses in a timely fashion, often within 15 days of the occurrence or when the losses become apparent. Producers of hand-harvested crops must notify FSA of damage or loss within 72 hours of when the date of damage or loss first becomes apparent. For more information on FSA programs, visit http://disaster.fsa.usda.gov. For more information on disaster assistance programs and loans visit www.fsa.usda.gov/ or contact your local FSA Office. To find your local FSA county office, visit http://offices.usda.gov.